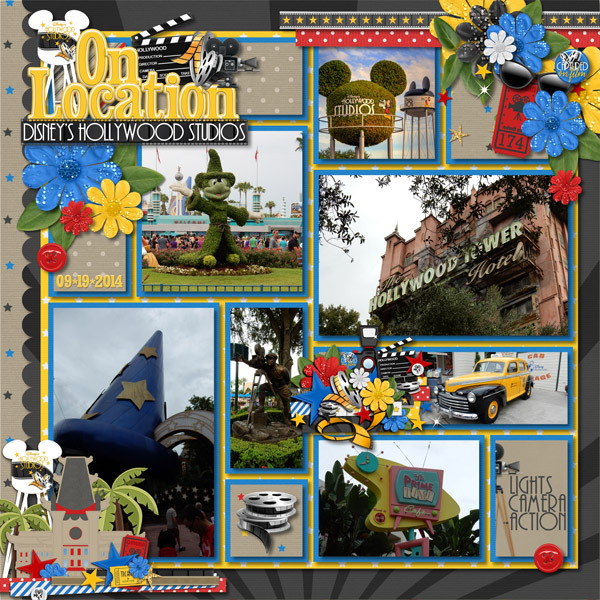 The Freckled Shamrock: Kellybell Designs is Taking You to Hollywood Blvd. Kellybell Designs is Taking You to Hollywood Blvd. Hooray for Hollywood! Kelly's new kit this week is full of sparkle and fun. The classic icons and colors will help you create wonderful pages of your days spent in Disney's Hollywood Studios, Hollywoodland in California Adventure or any other starring role performances. Your collection will be complete with the coordinating Page Starters, Journal Cards and Word Art. 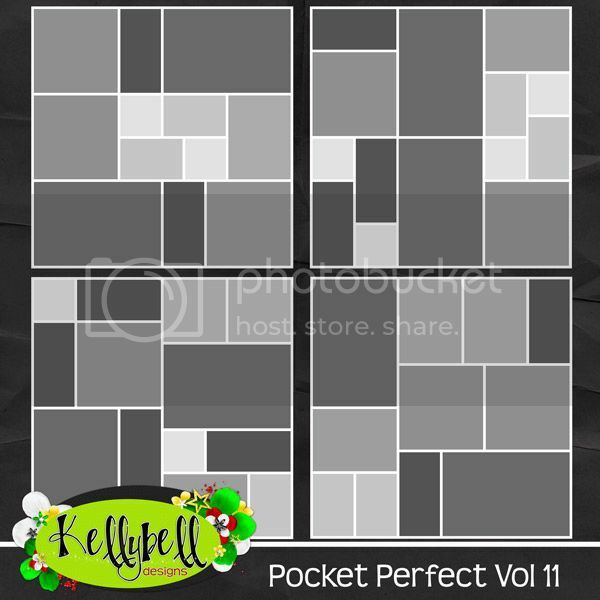 There is a wonderful new set of pocket templates this week too! This kit is packed with Hollywood goodness! Blue, yellow, red and grey papers in dots, stripes and stars, along with a yellow alpha, compliment unique elements including lights, cameras, film, sunglasses, palm tree, tickets, The Earful Tower, Chinese Theater, clapperboard, street signs, flair, stars, and more. How about some freebies from the team? You can find them at, Jessica's blog, Linda P.'s blog, and here on my blog. Great paper stack, thanks Charlene! Thank you for the lovely paper stack!